Shea belly butter for Lulu & Boo mums to be prevents streaks by nourishing in depth and helping the skin maintain its elasticity and firmness. With nutritious and organic shea butter, essential fatty acids, phytonutrients and vitamins. Enriched with avocado, rosehip, hawthorn and marigold oils. You will love its soft aroma of orange blossom, chamomile, mandarin and ylang ylang. Because the future mothers deserve the best of care. Rosehip Oil: Repairer. It contains fatty acids that favor cell and tissue regeneration. Prevents and reduces stretch marks and scars. It contains vitamin A that gives elasticity and smoothness to the skin. Promotes blood circulation and reduces staining. It is very regenerating and softening. Avocado Oil: Full of fatty acids and vitamins. Moisturizes the skin, nourishes and leaves soft for a long time as it retains moisture. Prevents aging. Heals dry, scaly, eczema or scaly skin. It maintains young skin and is very regenerating. Avocado oil prevents stretch marks and provides silky and shiny skin. St. John's Wort Oil: Improves mood and decay states. Protective. It treats varicose veins and poor circulation. Heals wounds, acne, burns and various skin conditions. Yellow hawthorn: Moisturizing and restoring of all layers of the skin. It treats affections. It is packed with vitamins, minerals and fatty acids. It is antioxidant, combats rashes and irritations. Strengthens blood vessels. It is anti-infective and slows down the aging process. Helps combat acne, rosacea, sunburn and stings. Marigold: With essential fatty acids, carotenoids and antioxidant flavonoids. It is anti-inflammatory, very calming. It goes very well for itching. It is antiallergic. 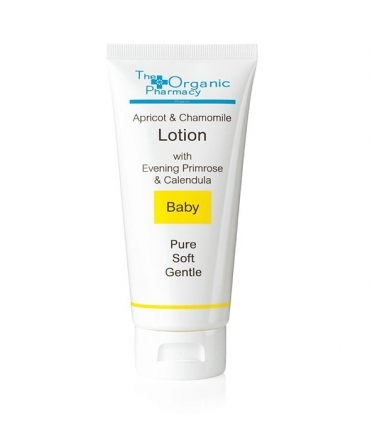 It is ideal for the care of babies and skins more sensitive and demanding. Calms itching, redness and irritation. It is an oil of the safest. It is healing. It stimulates the production of collagen and keeps the skin young. Moisturizes, embellishes and satin. Romero: Care and maintain the beauty of the skin. It looks healthier, elastic and firm. It nourishes and regenerates. Shea butter and olive oil moisturize, nourish, repair and beautify the skin. Satinan and leave a silky look and texture. Massage generously in areas prone to stretch marks such as belly, lower back, thighs and hips to help prevent them and maintain elastic and nourished skin. * = Organic, ** = Organic origin.